The DKN vinyl kettlebell weighs 8kg (17.6lbs) and not only helps to gain more strength and tone the muscles, but also strengthens the joints and develops endurance. The anti-slip base ensures added safety, while the ergo designed comfort handle provides a perfect grip. In addition, the kettlebell comes with a fully detailed workout chart. for submitting product information about DKN 8kg Vinyl Kettlebell We aim to answer all questions within 2-3 days. 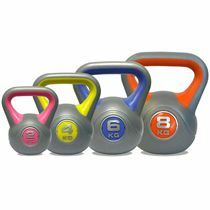 for submitting product information about DKN 8kg Vinyl Kettlebell. We aim to answer all questions within 2-3 days. If you provided your name and email address, we will email you as soon as the answer is published. Good product that does what it's meant to do, at a great price from Sweatband. BONUS: Doubles as a door stop or very large paperweight. Exactly what is described it is, strong and durable great for a workout. Great service as usual by sweatband when my original one arrived cracked I had a new one with me in no time at all. 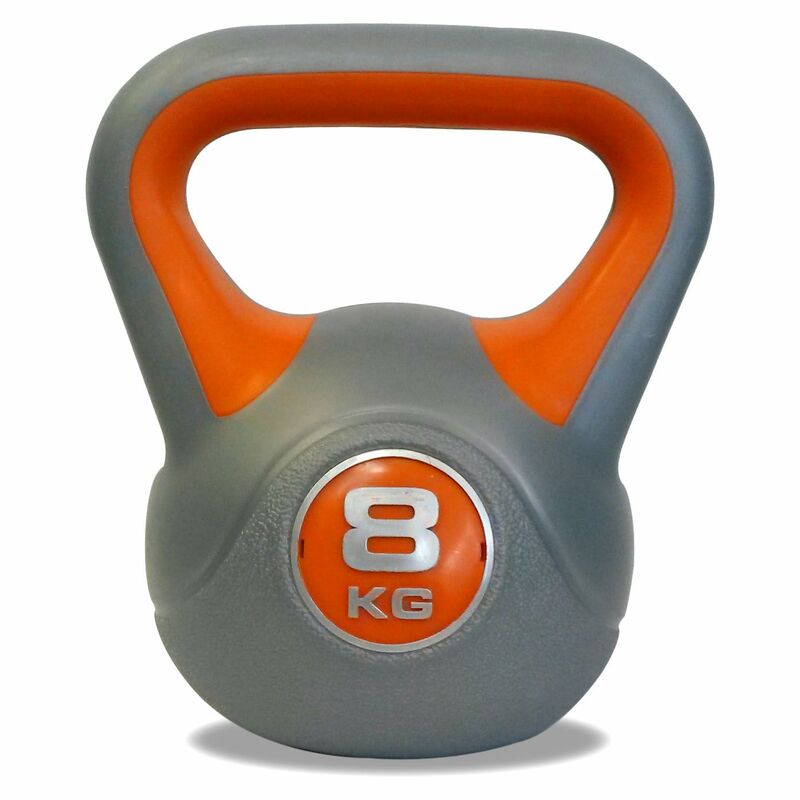 Me and my bf have ordered quite a few sets of these kettle bells to use in our garage gym , I like them all but the 8kg is my favourite because of the size of the handle and the weight. I mainly use them for lunges and squats but they could be used for most exercises. Great value for money much cheaper than the iron ones. I mainly use these for injury prevention (rotator cuff) and shoulder stretching exercises and they've really helped my mobility. for submitting product review about DKN 8kg Vinyl Kettlebell.